Gnav or Gnau is the Norwegian version of the old card game called variously Cucu (or Cuccu) in Italy and Gnau (or Gnav), Kille or Cambio in Denmark, Norway and Sweden, where it is still played. The pack consists of two series of picture cards and two series of numerals; the exact number of cards and the design and composition of the picture cards varies from country to country. The picture cards are almost as amusing as animal tarots or fortune-telling cards. 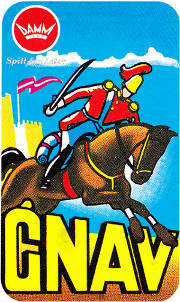 Right: front of the box from a Norwegian "gnav" game produced by Egmont Litor A/S, Oslo, 1998. Images courtesy Anthony Lee. In Denmark the game did not remain popular after the 1920s and appears virtually extinct in Denmark, but you may procure this deck in practically every large bookshop in Oslo. 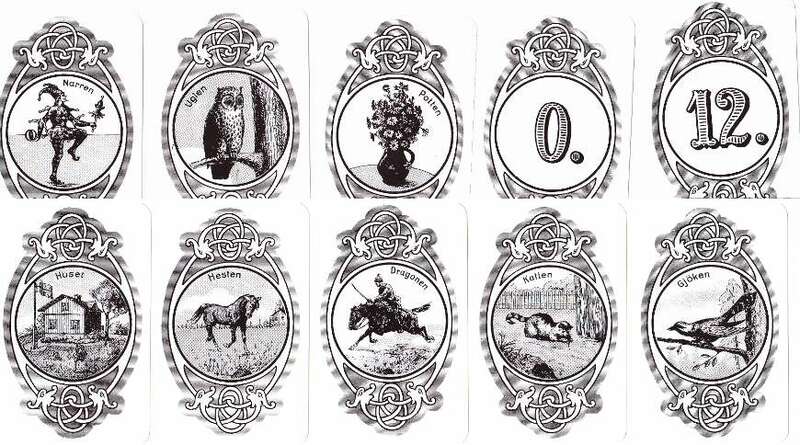 Above & Left: cards from a Norwegian "gnav" game produced by Egmont Litor A/S, Oslo, 1998. 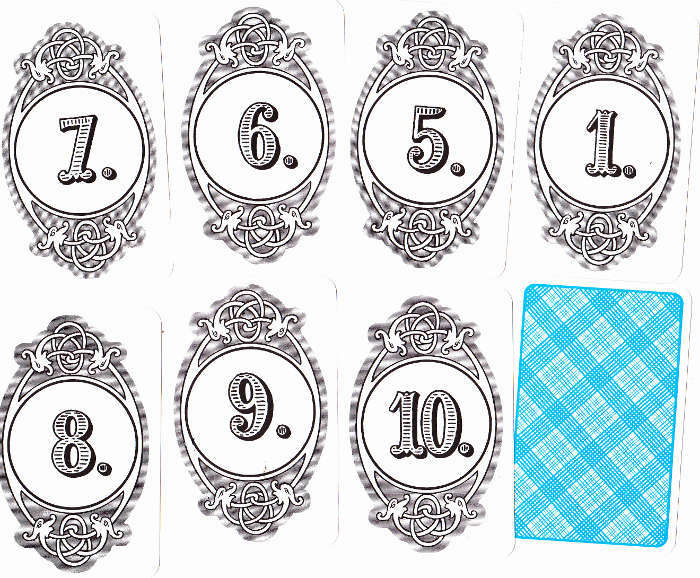 The deck is of 42 cards + rule card, comprising of a series of 21 subjects repeated twice. Of these 21 subjects, there are 8 pictures, and 13 numbers from 12-0. Images courtesy Anthony Lee.